Welcome to the CBS Renew/Cancel Watch. All in-season, scripted primetime shows airing on CBS in the 2017-18 season are included in the prediction table below. My current predictions are current as of September 29, 2017. Currently in its 11th season, The Big Bang Theory has already guaranteed itself a 12th season to air in 2018-19 thanks to CBS's two-year renewal back in March. Could it be dethroned over the course of the season by its shiny new successor? That's likely to be the only interesting challenge it'll have this season, but one it may not mind losing. 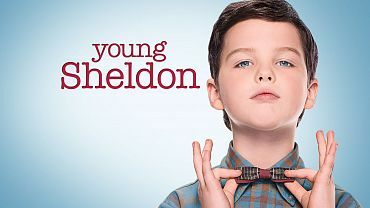 Young Sheldon Status: Likely to be Renewed The prequel-spinoff of The Big Bang Theory debuted to a strong and unprecedented 3.8 rating and 17 million viewers on Monday, holding on to 93% of the mother show's audience in the demo. This performance is nothing short of incredible to launch the fall season for CBS. The network has already given Young Sheldon a full-season order to reward it and to continue the good work. While this start is beyond great, it's too soon to say how the season will unfold. The series returns on Thursday, November 2 at 8:30pm and will face ABC's Grey's Anatomy, NBC's The Good Place, FOX's Gotham, and The CW's Supernatural. Kevin Can Wait Status: Likely to be Renewed In the Look Ahead article I wrote last week I outlined my concerns for the second season of the Kevin James-led sitcom. In short, with Leah Remini on board as a series regular and Erinn Hayes out, the show has a lot to prove to its core audience, as well as the new fans it seeks to gain by adding Remini as a controversial key player. The season premiere on Monday scored a very respectable 2.3 rating (-12% from its S1 premiere), which looks worse when you account for its mediocre 60% retention from Young Sheldon. Regardless of the inflated nature of premiere night, this is a strong number for the show and it will hope to retain as much of that audience as it can going into next week and the weeks following, especially when it must anchor Mondays again come November. NCIS Status: Likely to be Renewed So far this season, NCIS remains the highest-rated drama series the network has. It has been CBS's #1 drama for years and continues to rank near the top across all of scripted television. The network can still use it as a launchpad for new shows, or continue to nurture the likes of a Bull. There's little reason to believe that the final season is upon us yet. Me, Myself & I Status: Likely to be Renewed A 1.6 rating for a comedy on CBS is objectively fine in 2017, but this series stands a lot to lose in the coming weeks and in November when it has to compete without the major viewing benefits that The Big Bang Theory and Young Sheldon bring to the line-up. 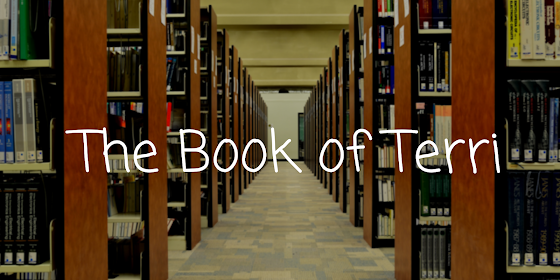 It may be the victim of a bad time slot, or an unlikely hero that actually helps keep up the back-end of the night. For now, there simply aren't enough data points to suggest it's not safe, but that could change as drastically as next week. SEAL Team Status: Likely to be Renewed The new David Boreanaz-led military drama brought in a 1.5 rating on Wednesday with almost 10 million viewers. Compared to last fall's debuts, this lags behind Bull (2.2) and MacGyver (1.7), but exceeds the Thursday premiere of Pure Genius (1.0). Looking back, Criminal Minds earned a 1.9 for its Season 12 premiere last year in the same slot. Considering all of that data, it appears to be a decent start for an untested property in a nice time slot. If it holds on to most of that audience it should be fine going forward. Bull Status: Likely to be Renewed One of CBS's two returning sophomore dramas, Bull returned to a 1.3 rating on Tuesday in its same time slot as last year. This result is down 40% from its series premiere and up 15% from its Season 1 finale (1.1). It's not a very encouraging number, but it is one of the stronger young properties CBS has to work with right now. Barring any kind of major collapse, the show and star Michael Weatherly should likely be around again next fall. Criminal Minds Status: On the Bubble This show has been on a noticeable downward trend as it's aged and has faced cast changes and cost negotiations with ABC Studios. Its 1.3 rating on Wednesday night is respectable for 10pm, where it tied NBC's Chicago PD in the demo and beat ABC's Designated Survivor (1.1). Looking inward, it even beat Scorpion (1.0) and NCIS: New Orleans (1.0). However, the Season 13 premiere was down 32% from last year's premiere, when it aired in the 9pm hour, and saw a decline of 19% from the Season 12 finale. This is the second oldest series on CBS, and it's starting to show cracks. The network did not get rid of any veteran dramas last year, and my gut is telling me that this series might be vulnerable by May as CBS tries to phase it out. On top of costs and cast changes it has not been able to launch a successful spinoff, which could be detrimental to its future on CBS. How the other veterans perform this year could be helpful to clear up its future, but at the moment the Season 14 forecast is not easy to predict either way and likely won't be for the foreseeable future. Status: Likely to be Renewed The latest spinoff of the valuable NCIS franchise premiered to a 1.0 rating on Tuesday night, which was down 29% from its Season 3 premiere and down 10% from its Season 3 finale. This isn't good, but CBS may not be so quick to let go of its third wheel in the NCIS franchise just yet when it has had trouble grooming new properties to replace it. Scorpion Status: Likely to be Renewed Scorpion also returned to a 1.0 this week, which was down 33% from its Season 3 premiere and a 17% slide from its Season 3 finale. This looks worse than the slide for New Orleans despite similar results, and it stands as a single property apart from any franchise support. However, it also benefits from the argument that newer properties remain untested, and the competition for renewals might look different in a few weeks or by the end of the year. A big syndication deal like another show from its class, Madam Secretary, recently got could come in handy about now and make things a whole lot easier on it. I wouldn't be quick to assume this series isn't going to be back yet, and with the likelihood of something from Fridays being cancelled (I'm looking at the yet-to-premiere Hawaii Five-0), something in the realm of a Season 5 of Scorpion would be a decent fit for that night of lower expectations. 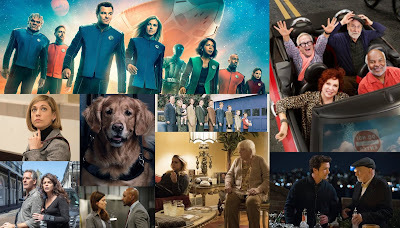 Check back next week for updates, when MacGyver, Hawaii Five-0, Blue Bloods, Wisdom of the Crowd, NCIS: LA, and 9JKL enter the table.